Splitcoaststampers had a tri-fold pocket card technique for this week's technique lover's challenge. I pulled out some Stampin' Up! 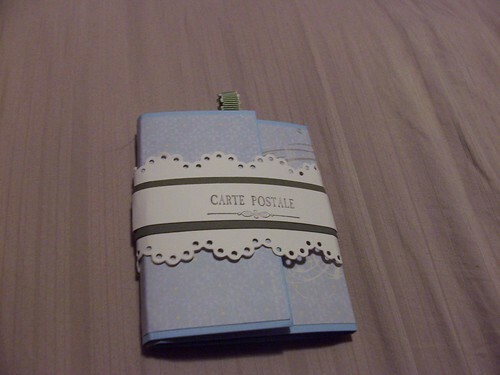 designer paper I received a couple of years ago, a neglected Carte Postale stamp set and got to work. This is what I came up with. 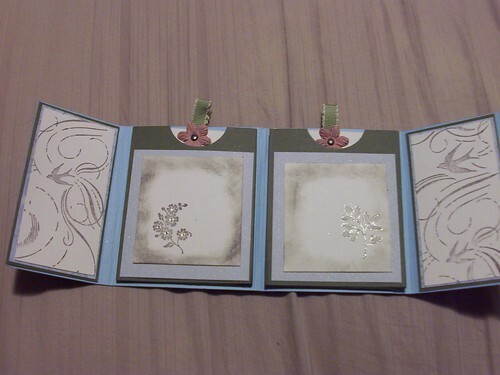 The belly band edges were created with the Hello Kitty border strip by Sizzix. 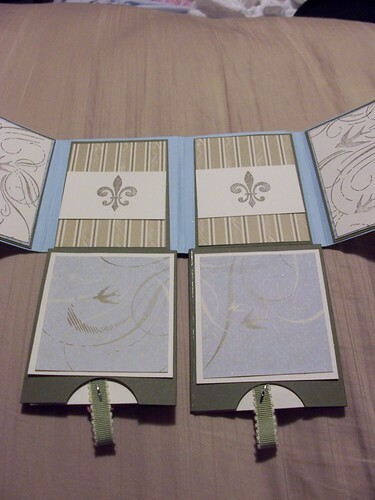 I thought this project would be great to hide some gift cards or little presents in.